We offer numerous undergraduate research opportunities at Auburn. 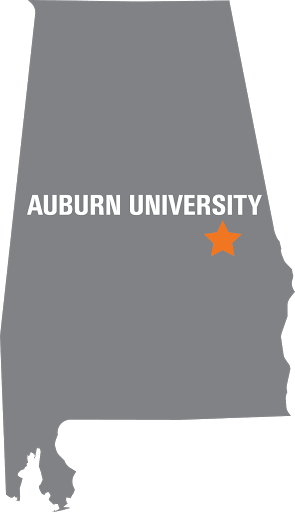 Many students participate in research through fellowship programs which provide stipends and funding for travel or research materials – one such program is the Auburn University Research Fellowship program. Many students choose to work part-time on ongoing research projects that are not part of the university fellowship program; sometimes for pay and sometimes as volunteers. Students also engage in research for course credit, Honors College credit or for an undergraduate thesis. You will need to work with a faculty member on any research opportunity you choose. Click here to find faculty members who are interested in becoming a mentor for undergraduate research. You can visit each of their websites to find additional information on their specific research interests and contact those who are doing research that is of interest to you.